Please find below a link to the Barnsley May Day Festival of Solidarity a musical celebration of International Workers Day. This is a progressive event with all donations going to progressive campaigns such as Justice for Orgreave. 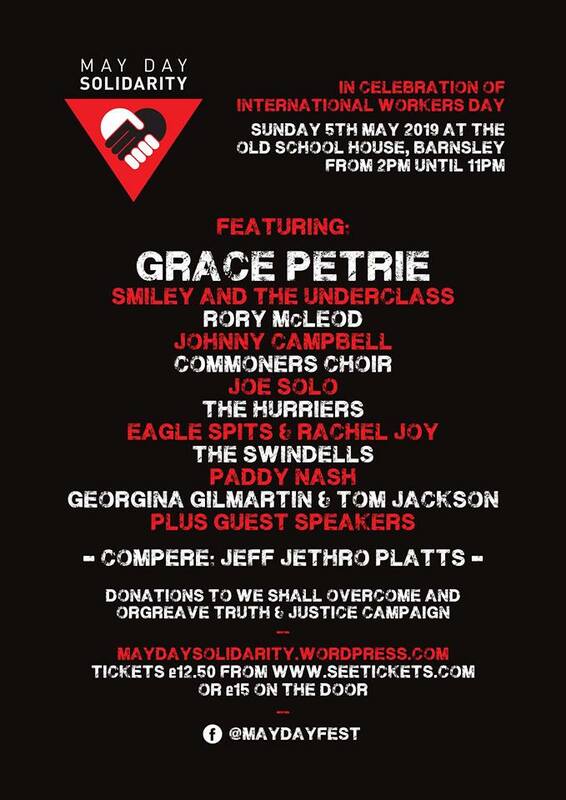 The line-up of artists includes Joe Solo who has played benefit gigs for our guards` dispute fund. An event well worth supporting and getting along to if you can.